What are some of your Thanksgiving traditions? Maybe you go on a Turkey Trot the morning of Halloween. Perhaps you see a movie in the evening? I know a lot of people who watch way too much football 😉 One particular tradition beloved at the Lars Studio is watching the Macy’s Day Parade on the morning of Thanksgiving. The floats, the music, the dancing, it’s all so magical! As the cooking and baking preparations are well underway, we watch the parade march past Central Park and there is nothing better! Nostalgia at its finest, that’s what the holidays are all about, right? 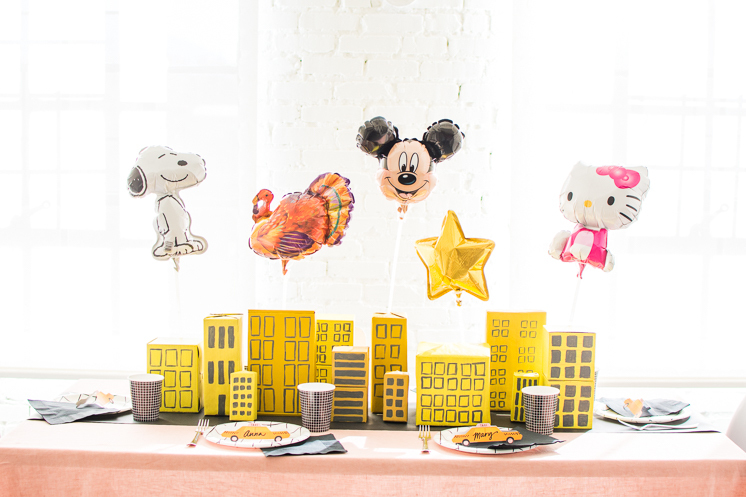 So we bottled up our love for that tradition and created this Macy’s Day Parade Tablescape for our monthly tablescape series complete with taxi car place cards! 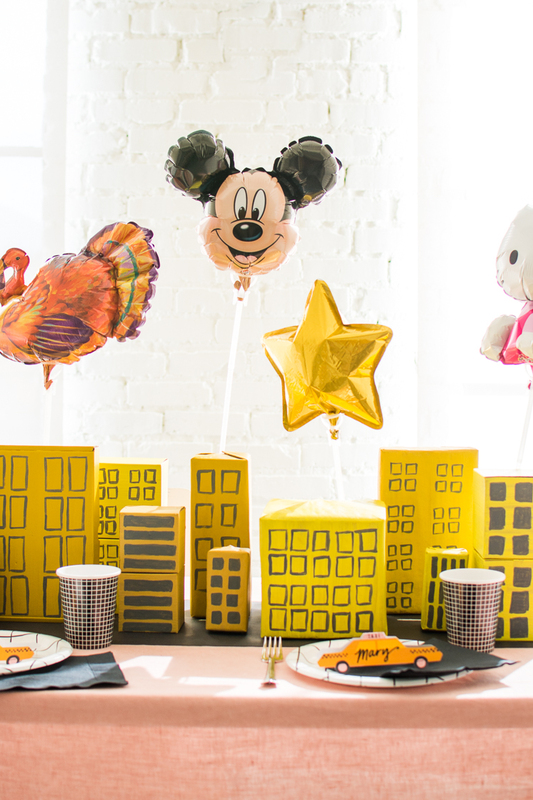 Say hello to your new Thanksgiving tradition. Edited: The Today Show loved it so much they featured it on their Thanksgiving edition! 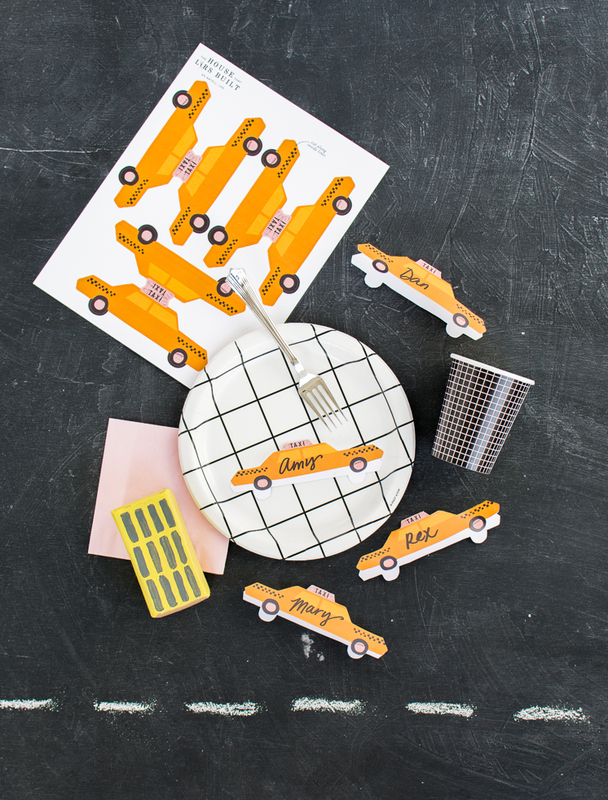 See how to create the full tablescape after the jump! 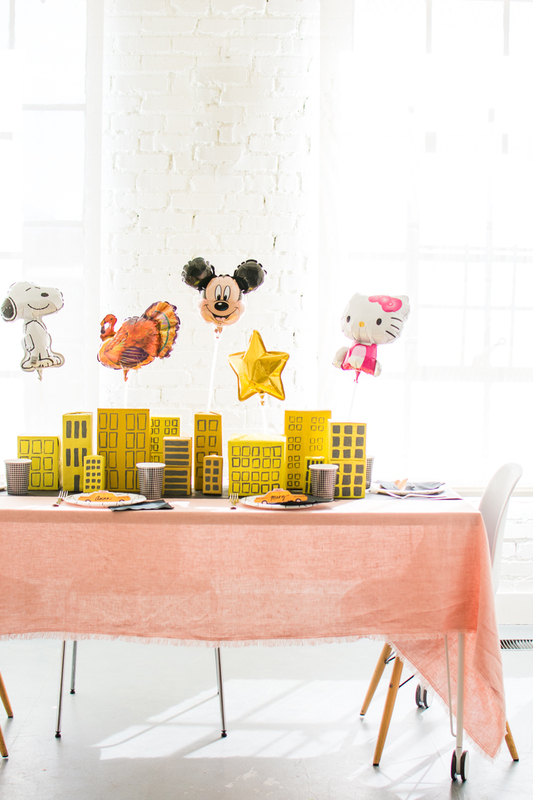 Cut your butcher paper 12-inches wide and to a length that will cover your table. 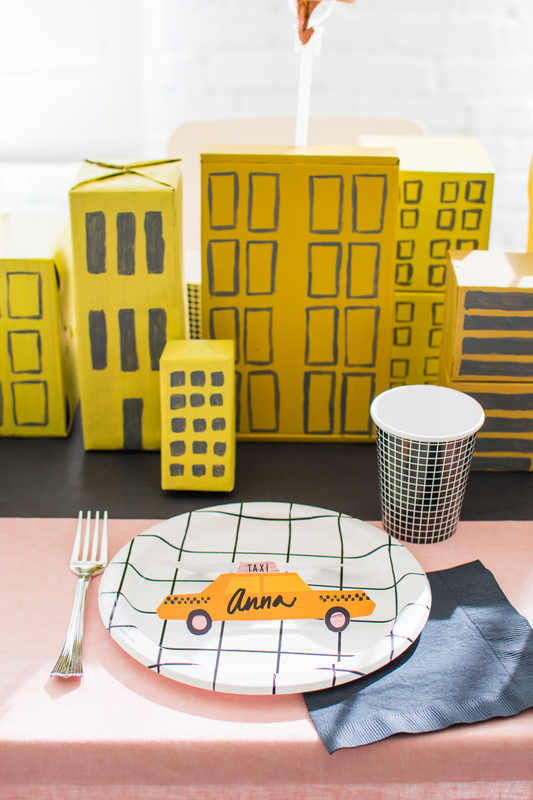 Cover your boxes with paper if desired, and then paint them different shades of yellow. Let dry. Paint windows on your box “buildings” with gray paint. Let dry. 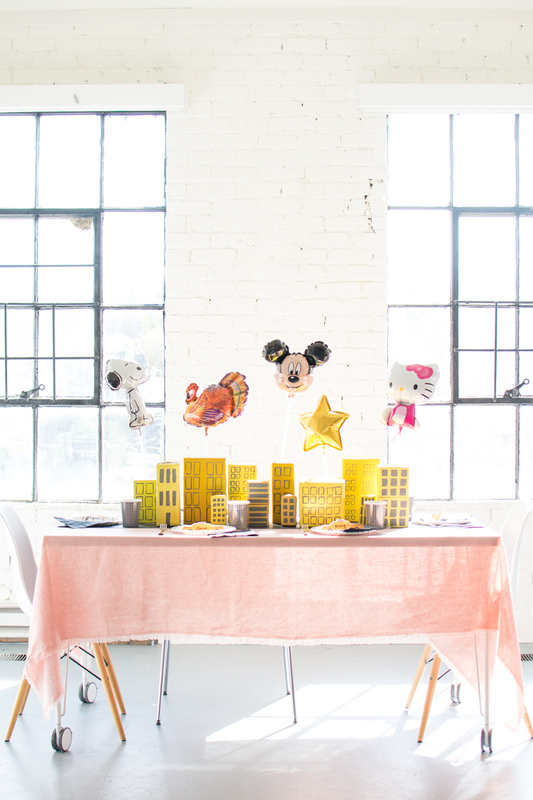 Place your black paper runner along your table and arrange your buildings into a cityscape in the center. 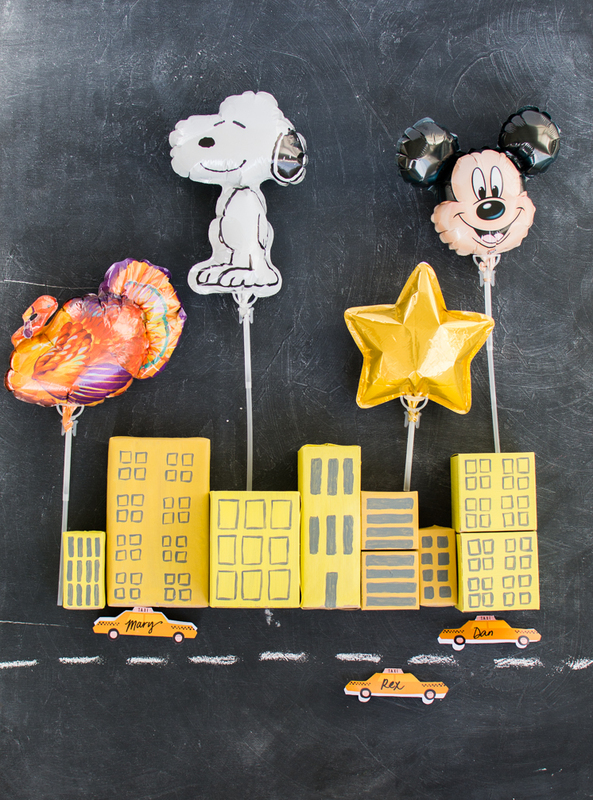 Blow up your mylar balloons and attach balloon sticks. 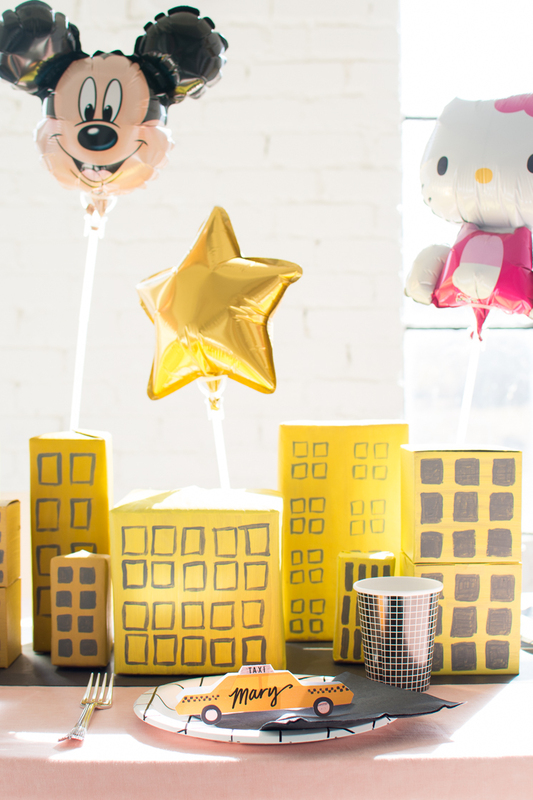 Tape the balloon sticks onto the buildings so they appear to be floating above the city. 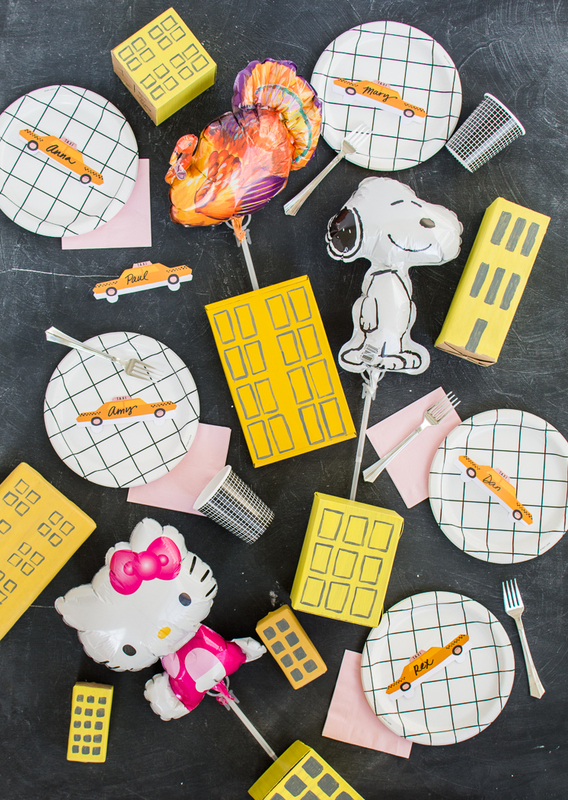 Set the table with plates, cups, napkins etc., and finish with a taxi car place card for each guest! 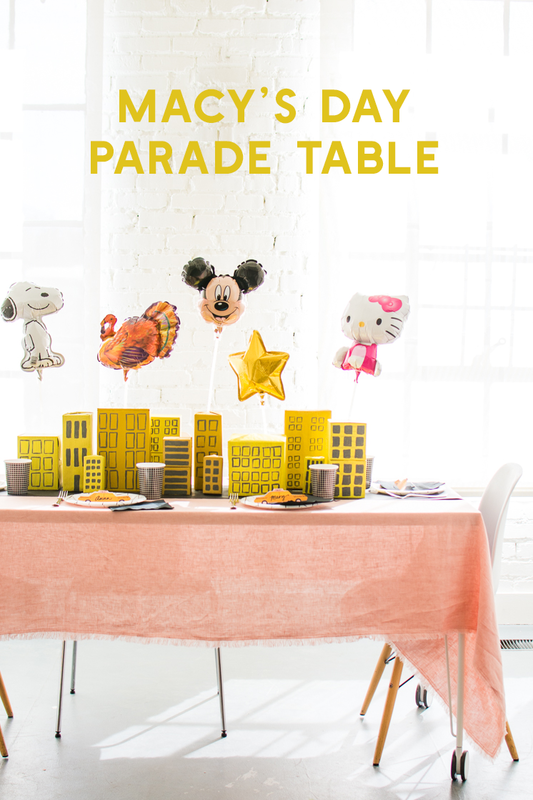 We hope you enjoy watching the parade this year and little more than usual with this tablescape! Happy Thanksgiving!